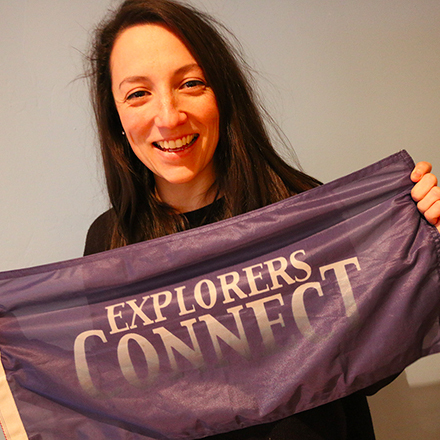 Explorers Connect is a three person team and not-for-profit that unlocks adventure, travel and unforgettable experiences for everyone. Through their website and events, they create opportunities for adventure-seekers to connect, inspire and plan adventures. 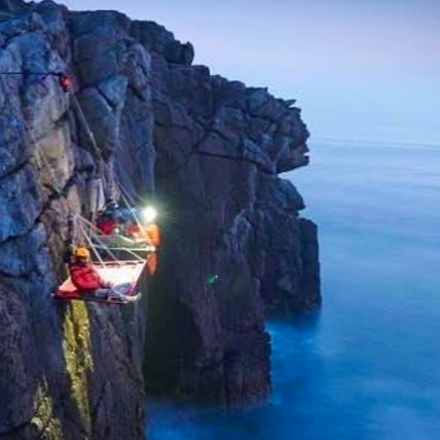 They also run some pretty darn amazing trips both in the UK and abroad – think kayaking in the tunnels under Bristol, sleeping in snow holes in Scotland and diving with seals. The best bit? As well as being unique and unforgettable, their trips are affordable (often a quarter of the price of other travel operators). Their mission is to get everyone outdoors and to choose adventure, particularly disadvantaged kids. 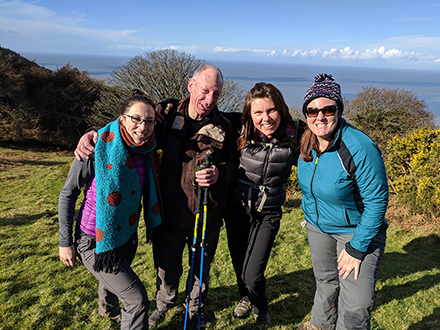 We caught up with the organisation’s Adventure Co-ordinator Alex Cameron-Smith (above, left), who works from one of our Desk Spaces in Pithay Studios…. I love helping people get inspired to go on more adventures, whether macro or micro, and with any level of ability and experience. The best part of the job is seeing people outdoors having loads of fun, overcoming fears and tackling challenges together. Our founder Belinda is a Guinness World Record holder for rowing unsupported around Britain. She knows her stuff! What big things have you got coming up in 2018? Is this your first shared desk space? My first office job was in London near St Paul’s, followed by the E-Spark office near Bristol Temple Meads station, both hectic places. Being in this desk space now is a lot quieter and I get to meet lots of different, creative people which is great. Why did you move to Bristol? I grew up in London and have always spent my free time exploring the outdoors and travelling to new places. Last year I made the decision to completely change my career and move to Bristol to get into the outdoor adventure industry, get my Mountain Leader qualification and be closer to amazing places like Wales, Exmoor and Cornwall. Looking back at your career, is there any advice you would have given yourself at the beginning? Be yourself – the people that matter don’t mind, and the people that mind don’t matter. The best time to plant a tree was 20 years ago, the second best time is now. And finally, what do you love about Bristol? I love the Bristol food scene SO MUCH – since coming to live here I’ve been to all the weekend markets, sampled the pop-ups, taken a vegan food tour, rinsed Sweetmart and gone to festivals for cheese, vegetarian food and gluten-free baking to name a few. I am also part of an awesome running group called GoodGym, where we run to different areas each week and do good deeds for the community. It combines fun, fitness and helping people, which in my opinion is the most rewarding thing you can do with your time.